Advancement in technology and interconnected business ecosystems has combined to increase exposure to cyber attacks. MindSam is an organization of expert researchers and enthusiastic developers who aim at offering a comprehensive and unique solution to the security related issues of our clients. It justifies our title as the best cyber security company in India. In a very short time span, MindSam has made its name among the leading VAPT companies in India. While expanding VAPT in India in many parts including Delhi, Jaipur and Chandigarh, MindSam’s objective is to offer its services in the field of Information Security and cybercrime investigation globally. As the technology is developing, it has opened door for innumerable potential threats in the domain of network business. There has been a tremendous increase in the cyber security cases in recent years and they continue to advance each day. Hence, there is an urgent need for all businesses and organizations to secure their information assets in every possible way. MindSam has designed its services in a way to mitigate every possible cyber threat via suitable VAPT tools and techniques. As an initiative of global dominance in the field of cyber security, we have started our services of VAPT in Mumbai. With our certified training on information security, VAPT for security audits and cyber-crime investigation services, we aim at becoming one of the best VAPT companies in Mumbai. Our aim is to safeguard your cyberspace and digital data by our proficient services including VAPT and Cyber Crime Consultancy in Mumbai, Jaipur, Delhi and various other parts of India. 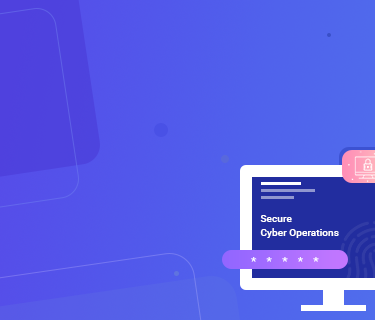 Our team is composed of ingenious developers and researchers who strive to explore each and every inch of the cybersecurity space. Via Vulnerability Assessment and Penetration Testing (VAPT) service, we conduct security audits and recommend mitigation strategies to eliminate security threats. We hold proficient skill set required for detecting potential defects and offering excellent solutions to diverse cyber security problems. We recognize the importance of information data for your organization and also the adverse effects of data stealing or loss. Hence, our services include security your essential information assets. We offer certified and hands-on training and courses to facilitate you with all the essential skills required in the cyber world. Ranging from very basics to advanced tools and techniques, our Cyber Security Course and Cyber Security Training (Ethical Hacking Training) program are structured in a way to offer easy learning. This is an introductory session to brief the participants about the cyber world in Mumbai. It will cover topics such as essentials used in cyber security and cyber-crime as well as various threats associated with cyber world. Terms and terminologies used in information security will be discussed that will help participants to clear their concepts regarding information security field. This module is designed to understand the basics of networks and how data is transmitted through the same, along with various Ports and Protocols. It also informs about the devices used for the data transmission i.e. hardware associated with networking like switches, router, hub etc along with types of network, internet protocol v4 & v6, ports & protocols, domain name system and its working. This module at beginning will define the basic terminologies; give an introduction of operating systems followed by the technical aspects. It includes how multiple operating systems are installed and configured in virtual box. The course aims to implement understanding of the way virtual machines are separated inside the same physical host and how they communicate with lower hardware levels, working of virtualization technology and components involved and the essentials to setup a lab for further modules in this course like web application hacking, malware analysis. The module hence gives an insight of OSI methods and techniques i.e. various ways to collect information from publically available resources like e-Mail spoofing and tracing fake mail by using various methods. The module will provide elementary knowledge about advance search techniques in various search engines used by security professionals and cyber criminals. Introduction to social engineering technique like phishing for email id hacking, desktop phishing, remote phishing and how it is essential in information gathering will also be a prominent part of the module. Data security is essential for protecting information and thus it needs to be encrypted. The module begins with introduction of cryptography from its origin to traditional methods and modern techniques. It further demonstrates the application of cryptography in information security and data protection techniques. The second half of the module explores and describes the basic concepts of cryptography including secret key and public key systems, encoding and decoding. It also discusses the difference between encryption and encoding along with techniques and methods of decryption. Module will give an insight of methods used to remove virus from system. The module includes the basic fundamentals of web application incorporating certain client side and server side scripting and possible web application attacks like SQL Injection, cross site scripting, local file inclusions and remote file inclusions and also medium level attacks like click jacking etc. Introductory knowledge of database and working with database using SQL queries along with installation and working for local servers will also be a major part of the module along with an introduction to basic working of HTTP with request and host examples. Almost every case of cyber- crime involves a very strong element of system based evidence i.e. phone, smart phones or computer etc. This final session will include various cyber - crime cases and criminal modus operands. Also, various cyber - crime cases handled by MindSam along with investigation procedure will be discussed. Methods to handle cyber - crime cases and Dos and Don’ts of handling cyber - crime cases will be discussed. Indian IT act with reference to case studies from MindSam will be discussed. The individuals who yearn to explore the spheres of cyber security in association with the threats and the countermeasures. The study also scouts to the new terminologies and concepts in the field. Non – Technical professionals who are looking for prospective career opportunities in cyber security or a similar environment. The particular course is designed to help participants understand the basic concepts and fundaments of Information Security and Networking in Mumbai. One will further be able to understand the methods required to operate multiple operating systems on a single hardware along with the methods to analyze networks for attacks and detecting loopholes in the network. The course also gives an idea of functioning of cryptography along with traditional and modern techniques along with the concepts of Metasploit, digital forensic terminologies and data recovery methods. Thus, the course will conclude with cyber- crime investigation that will incorporate various cyber- crime cases and modus operandi of criminals in Mumbai, Bangalore, Jaipur, Chennai, Kerala, Delhi, Hyderabad, Pune and Haryana. Furthermore, the practical exam after the course is entitled for certification aiming at how participants portray skills, expertise and knowledge gained throughout course to detect possible attacks and methods to penetrate. Hence, the candidates are required to clear the set performance criteria for certification and gaining specialization in the modules covered. We use Simulation test method to provide real time challenge which will help participants to use skills, expertise and knowledge acquired during the entire course. Participant with highest Score in batch will be awarded with MindSam award of performance Excellency – CAPE Medal and certification of Merit. Participants scoring 80% and above will be awarded with Certification of Merit. Verification method for certification : The certificate will incorporate a unique ID for every participant and the same can be used for verification from Our Website. The Module is designed to give an introduction to the fundamentals of internet and its primary concepts from origin to the current trending concepts of information security world. For beginners, the course offers a complete knowledge of basic security concepts, principles, and the key terms associated with information security and cyber World. Intend of the module is to clear misbelieves and myths of cyber world and also to study recent trends as well as threats and modus operandi of cyber criminals and testers. For Information protection data security is essential and thus it needs to be encrypted. The module begins with introduction of cryptography from its origin to traditional methods and modern techniques. Cryptography has important applications in information security and data protection techniques. The second half of the module Explore and describe basic concepts of cryptography including secret key and public key systems, encoding and decoding. Difference between encryption and encoding along with techniques and methods of decryption will be discussed on the module. Furthermore, it will also demonstrate how Hash Values are created using cryptographic hash function by studying hash techniques and also how to crack hash. It will give an introduction to data hiding techniques like steganography and understanding of how cryptography applies complex mathematics and logic to design strong encryption methods. The module will begin with an introduction of loopholes in protected Wi-Fi networks and its testing. Students will be able to learn how to test the security of a protected Wi-Fi network. The later phase of the module will include demonstration of internal network attacks such as sniffing, MITM, DNS cache poisoning. Introduction of misconfigurations and loopholes in router security are also included in the study. Metasploit is a framework which allows a security tester to arrange their exploits and launch them easily. The module gives a detailed study about the same along with the ways metasploit covers different types of pre build exploits. The module also covers exploitation techniques for different types of systems like windows, android, MAC. Almost every case of cyber- crime involves a very strong element of system based evidence i.e phone, smart phones and computer etc. The module will cover basics of forensics and Introduction to basic concept of data recovery from different types of storage devices and image creation for any storage device for data recovery. Clarity on concepts of data like data deletion possibilities of recovery and dependencies for the same is also included in the module. This session will include various cyber- crime cases and criminal modus operands. Also will be discussed various cyber- crime cases handled by MindSam along with investigation procedure. Methods to handle cyber- crime cases and Dos and Don’ts of handling cyber- crime cases will be discussed. Indian IT act with reference to case studies from MindSam will be discussed. Those individuals who intend to explore the threats and countermeasures associated with cyber security field and are new to terminologies and concept of the same. The course is designed for all industry spectrums & professionals who want to acquaint with the basics of concepts, terminologies of information security, networking, cryptography and all that aspects that frame the underlying concepts of cyber security and countermeasures. The Course will help Participants to understand the security terminology in Mumbai. Participants will learn to design, implement, and support networking devices which will help them to understand how information and network security help in supporting cyber security along with the installation of virtual servers and workstations. The modules will discuss various security technologies, including anti- malware, firewalls, and intrusion detection systems. It will also give a fair idea of how cryptography applies complex mathematics and logic to design strong encryption methods. One will also comprehend the methods to collect information from centralized database system like IP where the site is hosted, server information, mail server information. The participants in Mumbai, Jaipur and Delhi will also learn about the exploitation techniques and capabilities for penetration testing how to conduct investigations to correctly gather analyze and present digital evidence to both business and legal audiences. Course will end with Cyber- crime investigation and will give an insight on various cyber- crime cases and criminal modus operandi and live cases handling for real time experiencing. We use Simulation test method to provide real time challenge which will help participants to use the gained skills , expertise and knowledge acquired during the entire course. Participant with highest Score in batch will be awarded with MindSam award of performance Excellency CAPE Medal and certification of Merit. The Module starts with an introduction to the fundamentals of internet and its primary concepts from origin to the current trending concepts of information security world in Mumbai. For beginners course offers a complete knowledge of basic security concepts, principles, and the key terms associated with information security and cyber World in Mumbai, Jaipur and Delhi India. Intend of the module is to clear misbelieves and myths of cyber world and also to study recent trends as well as threats and modus operandi of cyber criminals and testers. Networks are defined as medium for communication between two or multiple systems, i.e. it constitutes a mechanism of information that travels across multiple devices using various mediums, concepts of Domain name system, Servers, Connection mechanism. The module will cover in depth knowledge of OSI model and TCP/IP model and how data is transmitted through network, along with various Protocols used at each layer with focus on Networking Layers, Network design and implementation and what devices are used for the data transmission i.e. hardware associated with networking like switches, router, hub etc. along with types of network, internet protocol v4 & v6, ports & protocols, sub netting concepts, domain name system and its working, Network architecture and standards. The module is designed to give an insight of OSI methods and its techniques i.e. various ways to collect information from publically available resources such as e-Mail spoofing, fake mail tracing by using various methods. The module will then provide elementary knowledge about advanced search techniques in various search engines used by security professionals and cyber criminals. This will be further followed by introduction to social engineering techniques like phishing for email id hacking, desktop phishing, remote phishing and how they are essential in information gathering. Data security is essential and needs to be encrypted. Thus, the module begins with introduction of cryptography from its origin to traditional methods and modern techniques. Cryptography has important applications in information security and data protection techniques. The module later explores and describes the basic concepts of cryptography including secret key and public key systems, encoding and decoding. Difference between encryption and encoding along with techniques and methods of decryption also demonstrate how Hash Values are created using cryptographic hash function by studying hash techniques and also how to crack hash. Introduction to data hiding techniques like steganography along with understanding of how cryptography applies complex mathematics and logic to design strong encryption methods is also taught. The module will begin with an introduction of loopholes in protected Wi-Fi networks and its testing. Students will be able to learn testing security of a protected Wi-Fi network. In the later phase, the module will include practical demonstration of internal network attacks like sniffing, MITM, DNS cache poisoning. Concepts of antivirus and their working along with it techniques to identify Malwares which are not detected by AVs will also be taught. The module includes the basic fundamentals of web application including both client and server side scripting and possible web application attacks like SQL Injection, cross site scripting, local file inclusions and remote file inclusions and also medium level attacks like click jacking etc. They will also be able to patch loopholes in web application. Advancement in technology has brought the world to a phase where most of the operations are performed using mobile devices. In this module we will be discussing about security issues related to android and its application. On the completion of this module, students will be able to perform reverse engineering on android applications, rooting android devices and testing for the securities and permissions. Metasploit is a framework which allows a security tester to arrange their exploits and launch them easily and the way it covers different types of pre build exploits. The module also covers exploitation techniques for different types of systems like windows, android, MAC. Almost every case of cyber-crime involves a very strong element of system based evidence such as phones, smart phones, computers, etc. The module will teach the participants the basics of forensics and introduction to basic concept of data recovery from different types of storage devices and image creation for any storage device for data recovery. It will further also give clarity on concepts of data like data deletion possibilities of recovery and dependencies for the same. This final session will include various cyber-crime cases and criminal modus operands where the cases solved by MindSam will also be discussed. Methods to handle cyber-crime cases and the Do’s and Don’ts of handling them will be discussed. Indian IT act with reference to case studies from MindSam will be discussed with the students in Mumbai, Jaipur and Delhi. Participants from Computer engineering background, Students pursuing BCA/MCA. Government officials of IT sector, officials from law enforcement agencies of Mumbai including police officials, intelligence bureau, military intelligence, national investigating agency etc. Technical Participants should have basic knowledge of programming languages such as C /C++ and web development, programming language like PHP/ASP, HTML. The Course is designed to make participants in Mumbai, Delhi and Jaipur able to design, implement, and support networked devices to take advantage of the growing demand for network security professional with networking fundamentals and advanced concepts and design strong encryptions with various cryptography methods. It also includes recognizing and being able to discuss various security technologies, including anti-malware, firewalls, and intrusion detection systems. Techniques and methods to detect malicious program and understand the ground lying principle of reverse engineering malicious software using network and system utilities, Frame methods and strategies to assess the security posture of multiple web applications. The learning also teaches conducting an in-depth analysis of android file system for security assessment with reverse engineering tools for android applications. Perform regulatory or compliance requirements that mandate regular penetration testing and vulnerability assessments. The course helps to discover essential computer / digital forensic tools and techniques for investigation and incident response and use forensic skills to handle real world incidents in Mumbai along with understanding the process of exploit development along with C and python language and also create and customize exploits for penetration testing and vulnerabilities. Cyber- crime investigation will give an insight on various cyber- crime cases and criminal modus operandi and live cases handling for real time experiencing in Mumbai, India. The entire program covers basic outline of cyber security in Mumbai as well as methods and techniques of how attacks are performed and possible outcomes of attacks along with the detection and prevention methods for the same. Thus, the practical exam after the course is entitled for certification aiming at how participants use skills, expertise and knowledge gained throughout to detect the possible attacks and methods to penetrate, hence to be specialized for the modules covered candidates are required to clear the set performance criteria for certification. Participant with highest score in batch will be awarded with MindSam award of performance Excellency – CAPE Medal and certification of Merit. The Module is designed to give an introduction to the fundamentals of different operating system like Windows, Linux, iOS and Android. He major intend of the module is to build the basics in Android Application penetration testing and development. The course also offers a complete knowledge of basic working of smartphones and Linux, principles and the key terms associated with Android for the beginners. The module will convey an in depth knowledge of computer networks and need of networking model and the basic tasks involved in connecting to the network, monitoring the network connection (including connection changes), and giving users control over an app's network usage. It will also discuss how to parse, consume XML data and connect to the network, choose an HTTP client, and perform network operations outside of the UI thread. Along with various Protocols used at each layer with focus on Networking Layers, it will also mark a description on network design and implementation and what devices are used for the data transmission. This module aims to implement understanding of how virtual machines are separated inside the same physical host and how they communicate with lower hardware levels. Working of virtualization technology, rooting the Android Emulator in the device and basic working of emulator and its networking is also inclusive in the course. The course also teaches the installing of Gsuite to sync data with Outlook and ARM Packages in the Emulator. This module gives an insight on the Android app structure which describes the various modules contained within an instant app project in Android Studio 3.0 along with its features, feature modules and feature APKs. The other part of this module covers the basic introduction to Java for android apps which is both similar and quite different from other types of Java applications. Building a simple Android app and creating a new interface for the app that takes certain user input and opens a second screen in the app is also a prominent part of the module. Participants tend to engage in privilege management in this module which allows one to remove admin rights from all users to stop attackers from exploiting privileges and gaining access to your data and Android Permission Manager where you can control the permissions an app can access afterits installation. It also comprises the introduction to APK Permission Analysis which is proposed due to the mess of privacy leaks and property damages of users. The second half of the module explores and describes the ways to analyze the network traffic data, improving an app's networking performance , reducing power consumption and Reverse Engineering. Students will also be able to learn how to unzip, edit and zip an android APK. This section will provide an introduction on how you get complete access to everything in the operating system and permission to do anything to any file at any place in the system. This includes things we want to do, like uninstall application forced on us by the people who built them or the people who sell them to us as well as things we don't want to do that can put your Android in an unusable state. This module will incorporate various sections like introduction to OWASP, SQLite data storage, detection of poor authentication and authorization by performing binary attacks against the mobile app while it is in offline mode. Students will also learn about the possible vulnerabilities associated with broken cryptography that may be introduced in Android apps and can be exploited by an attacker. Within many sections of this module, you will also learn about two kinds of SQL-injection vulnerabilities and how it impacts the android OS. Students will get familiar with an Open Source framework for Automated Mobile Security Assessment, learn about One Click Report Generation and Security Assessment and how to deploy testing framework at your own environment so that you have complete control of the data. Performing Automated Security Assessment for Android Applications, learning about the semi-Automatic Dynamic Analyzer for intelligent application logic based (white box) security assessments and how an attack vector that often comes up on Android, namely intent spoofing occurs is also a major teaching of this module. This module will cover Android SDK/NDK and related tool chains along with analyzing exploits on Android and kernel Android vulnerabilities as well as discussing jailbreaks and the various attack surfaces of Android applications. Students will also learn the basics of writing buffer overflow exploits debug and analyze applications on ARM and MIPS architecture and to format string exploits throughout their time on the module. IT Personnel working in Android Development domain. IT Personnel working in IT-Security domain. Professionals who are looking for prospective career opportunities in cyber security field in Mumbai. One must have a basic knowledge of programming fundamentals. One should also have the basic knowledge of programming languages such as Java. Basic security concepts such as: cryptography, reverse engineering, SQL injections and web tools such as Wire shark and OWASP ZAP (or Burp). One of the most intensively structured courses on our training programme, this course provides a complete guide to understand and practice the Android Mobile Application and ethical hacking of the same efficiently in Mumbai. The modules include vivid explanation of the terminologies and their functionality. For a deeper understanding, the students are taught practically on well- equipped labs which also help them build basics by working on different operating systems (windows, Linux). Briefing them on android smart phones and its versions contributes to a major part of the module which further includes techniques and methods on how to penetrate Android Mobile Applications, how to begin with android app penetration testing, network monitoring on devices, ethical hacking of vulnerable applications that have been created by our trainers in order to help you practice all the hands-on exercises and finally some automated tools to complete the task. The course contains more than 14 challenges where we will teach you how to crack it. One can discover all the android application security models which play an important role in the design and evaluation of high assurance security systems on this course. It also focuses on Virtualization, APK File Structure, networking emulator, ARM packages in emulator, Android Application Development Basics, Privilege Management & Escalation, Analyzing and Root Access in Android. All the doubts related to this course are thoroughly discussed by our qualified trainers in the discussion session as it comprises the most important cyber security and ethical hacking in the cities of Mumbai, Rajasthan and Delhi in India. The entire program covers basic outline of cyber security as well as methods and techniques of how attacks are performed and possible outcomes of attacks along with the detection and prevention methods for the same in Mumbai. The participants enrolled for the module are given an introduction to the fundamentals of internet and the history of primary concepts to the current trending concepts of information security world in Mumbai. The course offers a complete knowledge of basic security concepts, principles, and the key terms associated with information security and cyber world for the beginners in the country. The primary intent of the module is to clear misbelieve and myths surrounding the cyber world and to study the recent trends as well as threats and modus operandi of cyber criminals and testers. The module will teach the basic definition of Network and its various concepts. It will further cover an in depth knowledge of OSI model, TCP/IP model and how data is transmitted through these networks along with various Protocols that are used at each layer with focus on Networking Layers, Network design and its implementation. Devices used for data transmission i.e. hardware associated with networking like switches, router, hub etc. along with various types of network, internet protocol v4 & v6, ports & protocols, sub netting concepts, domain name system and its working, Network architecture and standards are various other aspects covered on the module. The module will start by defining the basic terminologies, introduction of operating systems and technical aspects that may follow in the later part of module that includes how multiple operating systems are installed and configured in virtual box. Course aims to implement understanding of how virtual machines are separated inside the same physical host and how they communicate with lower hardware levels, working of virtualization technology and components involved and the essentials to setup a lab for further modules in this course like web application hacking, malware analysis. Open Source intelligence (OSI) is focused on collecting as much information as possible about a target which can be organization, a person, website or a specific system. The module is designed to give an insight of OSI methods and its techniques i.e. various ways to collect information from publically available resources such as e-Mail spoofing, fake mail tracing by using various methods. Data security is essential for Information protection and thus, needs to be encrypted. The module begins with its introduction starting from its origin to traditional methods and latest modern techniques. The second half of the module explores and describes the basic concepts of cryptography including secret key and public key systems, encoding and decoding. The module also demonstrates how Hash Values are created using cryptographic hash function by studying hash techniques and also how to crack the same. Introduction to data protection techniques like steganography is involved along with the understanding of how cryptography applies complex mathematics and logic to design strong encryption methods. Module will also incorporate introduction of misconfigurations and loopholes in router security along with various internal security concepts like firewalls, IDS and IDPS. Module will later cover scanning networks for live systems and their open ports as well as operating system, finger printing and grabbing banners of running services on remote system. It will also give insight on scanning of known vulnerabilities. The course includes basic terminologies and concept of Malware – its definition, why and how it is affecting the network and the system, key tools and techniques of malware attacks. Students will also be briefed about creating various types of malware (virus, worms, Trojans, key loggers etc.) Concepts of antivirus and their working along with the techniques to identify Malwares which are not detected by AVs are also an essential part of the module. As a result, participants will be able to create their own exploits using Buffer Overflow vulnerabilities. Those who intend to explore cyber security field associated threats and countermeasures and are new to terminologies and concept of cyber security world in Mumbai. Technical background students who aim for advanced learning in cyber security field in Mumbai as this will help them to understand the advanced concepts and terms of cyber world. The Course will help the participants to understand the security terminology in Mumbai. The trainings to be held in Mumbai, Jaipur and Delhi will encourage participants to learn to design, implement, and support networked devices which will help them to understand how information and network security support cyber security and along with the installation of virtual servers and workstations. In the later modules, it will discuss various security technologies, including anti-malware, firewalls, and intrusion detection systems. The students will learn about Cryptography and methods to collect information from centralized database systems like IP where the site is hosted, server information, mail server information. The modules also teaches the exploitation techniques and capabilities for penetration testing and how to conduct investigations to correctly gather analyze and present digital evidence to both business and legal audiences. The course will end with Cyber- crime investigation will give an insight on various cybercrime cases and criminal modus operandi and live cases handling for real-time experiencing in Mumbai. The entire training course covers the basic outline of cyber security as well as methods and techniques of how attacks are performed and possible outcomes of attacks along with the detection and prevention methods for the same. Thus, the practical exam after the course is entitled for certification aiming at how participants use skills, expertise and knowledge gained throughout course to detect possible attacks and methods to penetrate, hence to specialize for the modules learnt, the candidates are required to clear the set performance criteria for certification. Detection and elimination of potential threats is a crucial practice while looking for a secured network. Our VAPT service aims at conducting security audits and recommend measures to eliminate security disruptions. 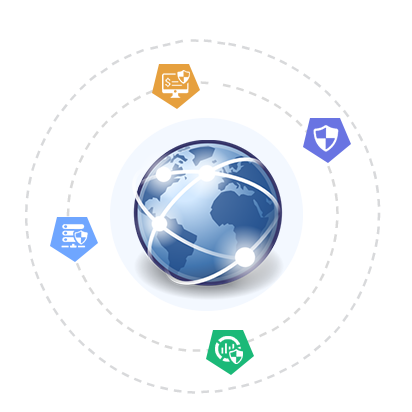 It is an all-inclusive service which includes monitoring security for detecting possible risks, forensics and Pentesting. We have been successfully providing our VAPT services in Mumbai, Delhi and Jaipur. Vulnerability assessment (VA) can be defined as a process of detecting security weaknesses or loopholes in a network or system. The sole purpose of VA is to examine and detect, keeping in mind that no loophole should be missed from being exposed. A penetration test (PT) is a process of exploring and exploiting vulnerabilities. This tactic approach confirms if there is any weakness or vulnerability in the system. Moreover, it exhibits that exploitation of the vulnerability can lead to discrepancies to the system or network. VAPT is a process which include both VA and PT which works to detect and identify security flaws present in the network as well as determine its intensity. VAPT also recognizes the nature of risk and recommend corresponding exploitation and mitigation strategies. *Vulnerability:A flaw or weakness in system security procedures, design, implementation, or internal controls that may result in a security breach or a violation of the system’s security policy.